When it comes to family excursions, zoos are a perennial favorite. After all, there’s something for everybody at the zoo, so whether you want to see a particular creature up close or enjoy a fun and vibrant day outside, you’re bound to enjoy yourself. While there are zoos all over the globe that will keep you entertained, some go above and beyond your expectations, and leave you with a truly eye-opening experience. Check out these world-class views for an exciting and unique wildlife experience. Renowned throughout America and beyond, the San Diego Zoo continues to shine with extraordinary exhibits and a lush collection of 700,000 exotic plants. The Giant Panda Exhibit draws crowds all year round, but there are hundreds of interesting species to see throughout the zoo’s 10 separate bioclimatic zones. 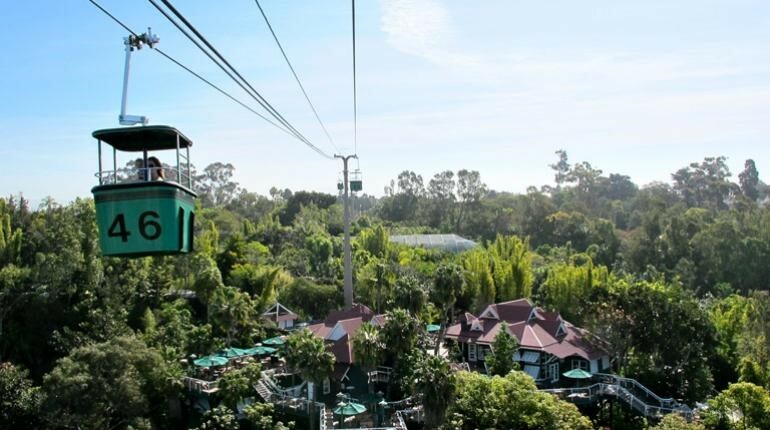 There’s certainly something for everyone here: plant enthusiasts can tour the sprawling gardens, casual visitors can stroll for hours along the network of pathways, and for those who prefer a panoramic view of the whole place, there’s the Skyfari Aerial Tram to whisk you above the canopy. 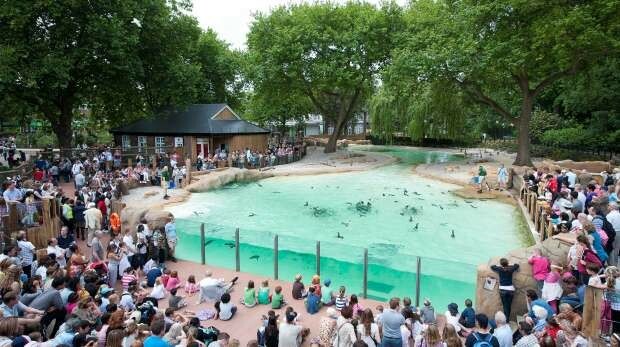 The London Zoo on the edge of Regent’s Park earns points for historical perseverance as well as modern appeal. Started as a research facility in 1826 (which makes it the world’s oldest scientific zoo), this London fixture has expanded and thrived for generations, although it has managed to retain its Victorian charm. Their new Animal Adventure is an interactive experience for children, where they can climb into the canopy, walk through underground tunnels and splash in water habitat, seeing and learning about all the animals that live in each region. 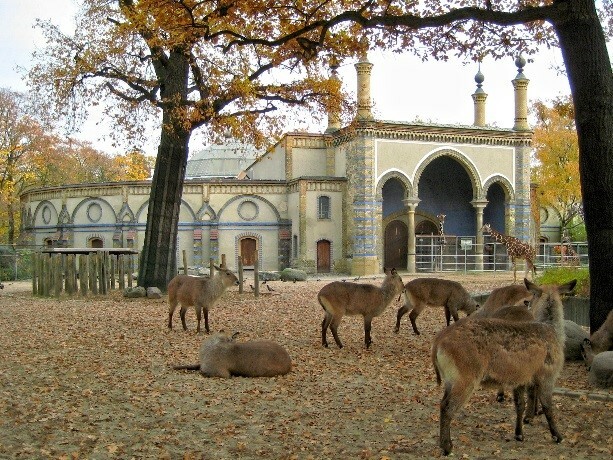 The oldest zoo in Germany is also the most comprehensive – it has more species of animals than any other park in the world. And among the 20,500 animals roaming its pastures, tanks and pens, you’ll find Knut, the polar bear and Bao Bao, the giant panda (two beloved tenants that have attracted visitors for years). Berlin’s famous zoo also boasts the largest aquarium in the world, and some towering architectural marvels, like the giant Elephant Gate and the sparkling glass Hippopotamus House. 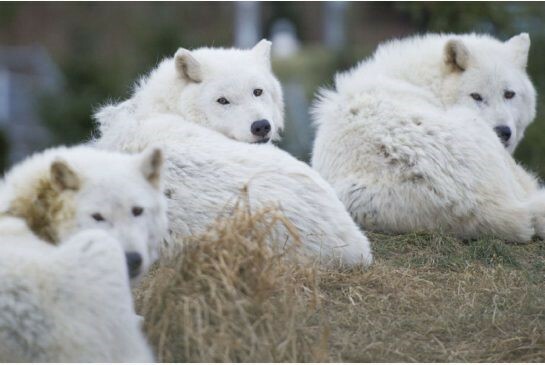 Toronto’s zoo is a sprawling exhibit of more than 450 species from around the world, including some that you’re not likely to see in other zoos. Toronto hosts some of the world’s most endangered species, like Western lowland gorillas and the pygmy hippo, but this zoo also take great pains to educate and elucidate with excellent interactive displays and meetings with the trainers. Once you’ve walked through the rainforest, pet the stingrays, and met the big family of penguins, trek up to the Canadian section, where you can see some of the country’s most impressive (and elusive) animals up close. Recent named “world’s best zoo” by Tripadvisor’s community, the Henry Doorly Zoo can go toe-to-toe with any of the world’s leading zoos, with the largest cat complex in North America, the world’s largest nocturnal exhibit, and a massive indoor jungle. But their desert dome really puts the zoo in a league of its own: costing over 30 million dollars to complete, this arid spectacle spans 2 acres and houses dozens of desert animals you’re unlikely to glimpse elsewhere. 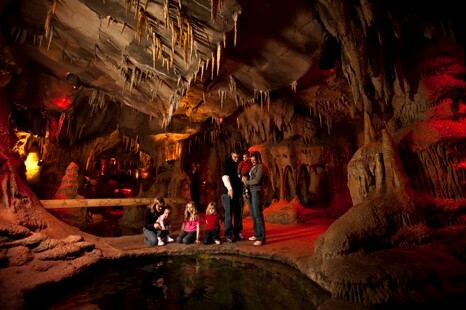 To top it off, visitors can venture underground into the Kingdoms of the Night exhibit to stroll through a swamp, a canyon, a eucalyptus forest, and a bat cave. 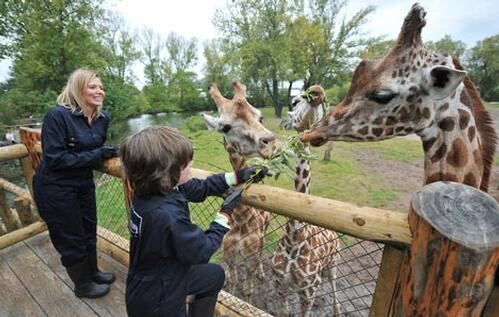 Britain boasts some of the most loved animal parks in the world, but with 110 acres of lush and varied gardens full of incredible sights, Chester zoo is the feather in England’s zoological cap. It houses over 400 species of animals and award-winning gardens. The focus is on fantastic family outings: you can make the day as adventurous or relaxing as you wish, but be sure to catch at least one or two of their monkey and ape exhibits. Chester has 30 chimpanzees – the largest colony in Europe – and the nearby Monkey Islands are home to six different monkey species, including macaques and tiny tamarins. You’ll find Singapore’s most impressive animal collection in the Mandai rainforest, with nearly 3000 animals in exhibits spanning 64 acres. 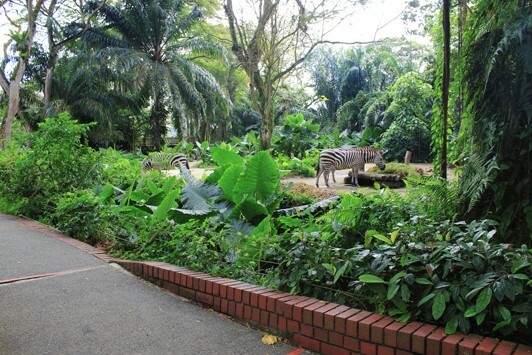 A key difference of the Singapore zoo is the lack of cages: these are open-air exhibits that you can enjoy from several vantage points, including sky-high platforms, underwater rooms, and glass-walled galleries. Rest assured, there are safety measures in place to protect visitors from the more dangerous animals, but the inventive layout will completely immerse you in the tropical Asian jungle. 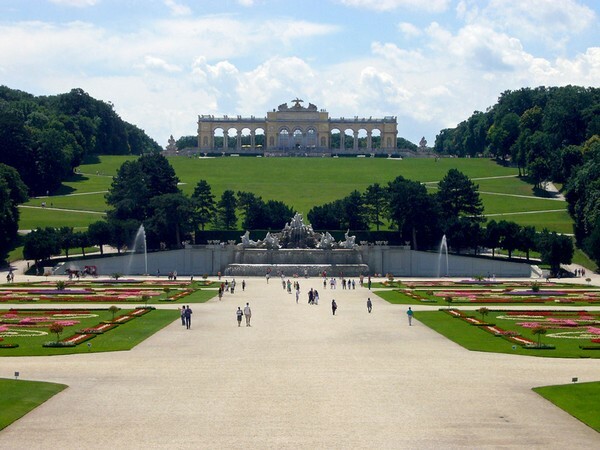 The Vienna Zoo sits on the stately grounds of the Schönbrunn Palace, and is the oldest zoo in the world. It was founded in 1752, and though it has come a long way, it still retains its 18th century charm. The baroque buildings are extremely well preserved, but all the modern amenities have been added to make for a comfortable and enlightening experience. Visitors are invited into the enclosures to walk among the land and sea animals, and you’ll marvel at the bats flying and sloths hanging right over your head. The name of this island zoo translates as “Parrot Park”, pointing to its roots as a parrot sanctuary. 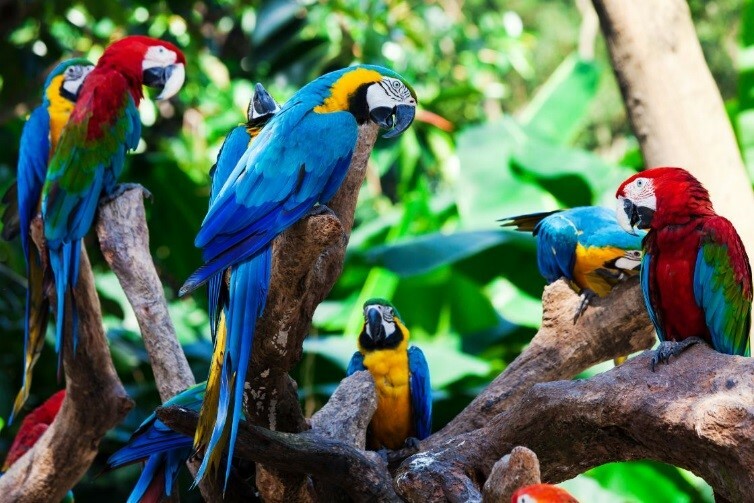 Since its inception in 1972, Loro Parque has grown into a diverse collection of birds and sea animals, where you can catch the world’s largest dolphin show, walk through the world’s longest shark tunnel, or try to spot the 350 different species of parrots. It’s a busy and energetic locale, with many eye-catching shows held throughout the day. The most adventurous zoo award goes to the Australia Zoo, founded by the Irwin family in 1970, and passed down to the Crocodile Hunter himself. 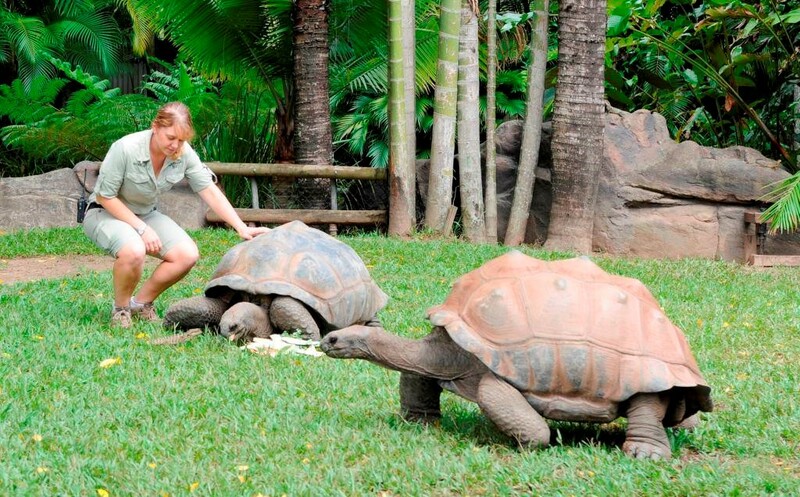 Steve Irwin and his wide Terri transformed the zoo into a conservatory and focused on building more and more creative exhibits; today, the zoo provides visitors with an unmatched up-close and personal experience. Visitors are treated to encounters with snakes, tigers, elephants, kangaroos, and a host of other wild animals from the Australian continent and beyond, and can witness crocodile feedings. It’s no surprise that this zoo continues to rack up more tourism awards every year. An enjoyable trip to the zoo requires a little bit of forethought. Most good zoos attract big crowds, so be prepared to spend some time in line-ups. Better yet, plan to visit in the early evening, or a mid-week morning – the animals will probably be more active, and you’ll find far fewer crowds.